Quinton Ramone Jackson (born June 20, 1978) is an American mixed martial artist, actor and former professional wrestler who is currently signed with Bellator MMA. He is a former UFC Light Heavyweight Champion. Due to his eccentric personality and aggressive fighting style, Jackson became a star in Japan during his stint with the Pride FC and following his move to the UFC, he helped pioneer MMA’s growth into a worldwide sport. 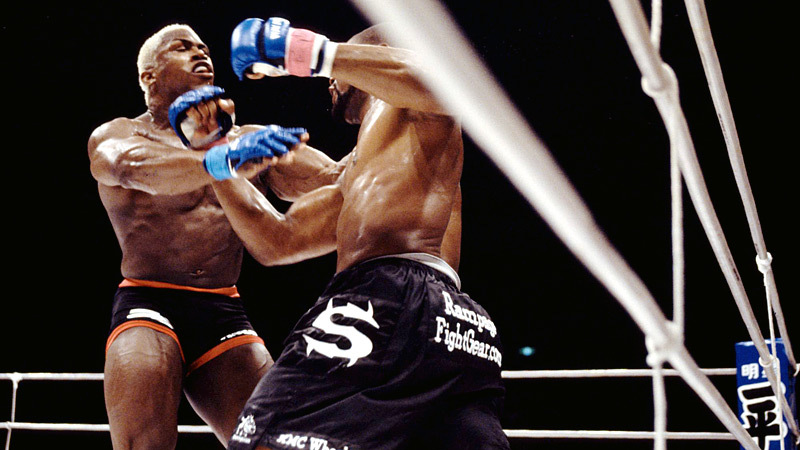 Kevin Christopher Randleman was a mixed martial arts fighter and professional American wrestler, former UFC heavyweight champion and PRIDE FC wrestler. He was known for his athleticism and explosive strength.